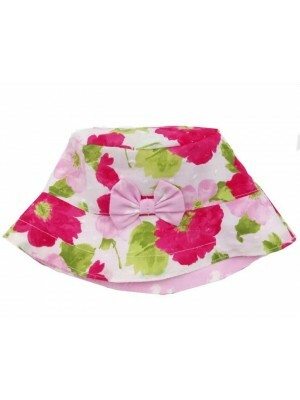 A perfect bow hat to match with our Chloe dress and dungarees Fabric Content – 100% Cotton Garment Care – Cool machine wash .. 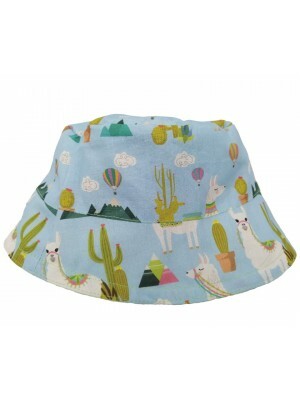 The cutest Llama reversible sun hat that matches perfectly with our Llama outfits. 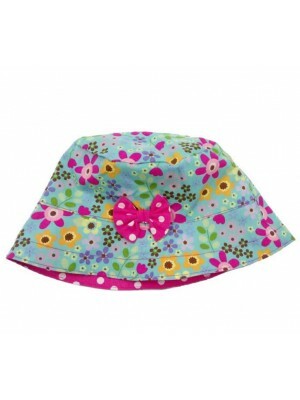 Fabric Content – 100% Cotton Garment Care – Cool machine wash ..
A pretty little sun hat with poppies on one side and flamingos on the other. Matches with our Poppet dress perfectly. Fabric Content – 100% Cotton Garment Care - Cool machine wash ..
A beatuiful little hat to match our Ruby dress and dungarees Fabric Content – 100% Cotton Garment Care - Cool machine wash ..
A perfect summer sun hat to match our Belle dungarees, shorts or dress. 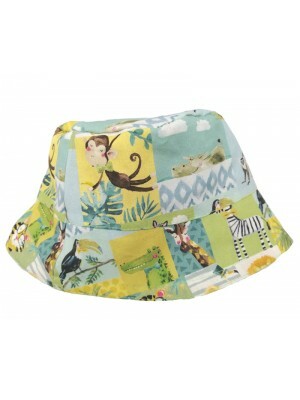 Fabric Content – 100% Cotton Garment Care - Cool machine wash ..
A cotton reversible Jolly Jungle hat with an animal print on one side and a little spot on the other. 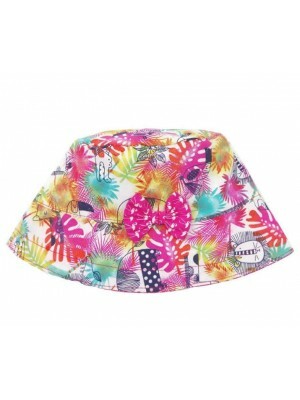 Matches perfectly with our Jolly Jungle outfits Fabric Content – 100% Cotton Garment Care – Cool machine wash ..
A pretty pink reversible sun hat with cute elephants on one side and pink flamingos on the other. Matches perfectly with our Eva dress and dungarees. 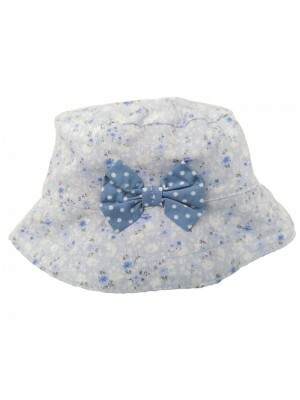 Fabric Content – 100% Cotton Garment Care - Cool machine wash ..
A soft blue cotton sun hat with flowers on one side and spots on the other. 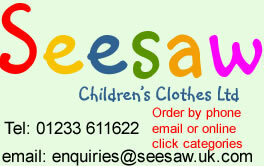 100% washable. Matches perfectly with our Blue Jasmine outfits. 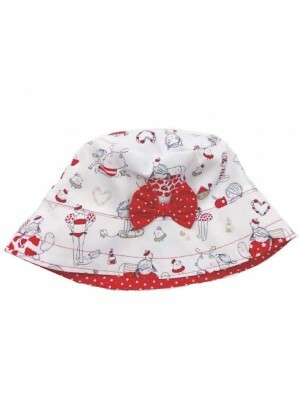 Fabric Content – 100% Cotton Garment Care - Cool machine wash ..
A mass of pink strawberries on a cute sun hat. Matches perfectly with our Pink Strawberry dungarees, dress and shorts. Fabric Content – 100% Cotton Garment Care - Cool machine wash ..
A bright cotton sun hat that matches perfectly with our Faith dress, dungarees and little bag. Fabric Content – 100% Cotton Garment Care - Cool machine wash ..
A pretty turquoise reversible sun hat which matches perfectly with our Forget-me-not dress. 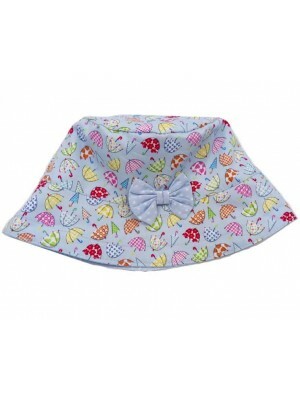 Fabric Content – 100% Cotton Garment Care – Cool machine wash ..
A pretty cotton reversible sun hat featuring a mass of umbrellas on one side and little blue stars on the other. Matches perfectly with our Gigi dress and dungarees. 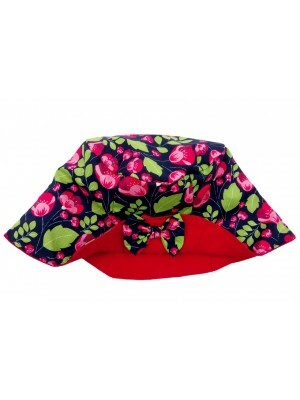 Fabric Content – 100% Cotton Garment Care – Cool machine wash ..
A gorgeous tropical hat with a bow on one side and little pink flamingos on the other. 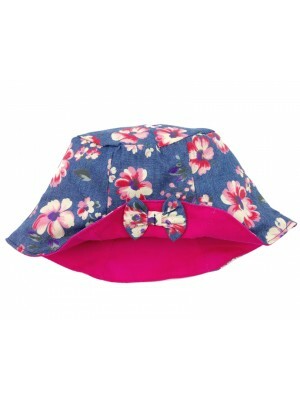 Matches beautifully with our Hawaii dress and dungarees. 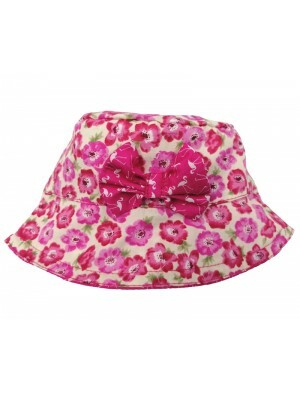 Fabric Content – 100% Cotton Garment Care - Cool machine wash ..
A soft lightweight bow hat to keep the sun off the head and looks fabulous with our Rosalie pinafore. 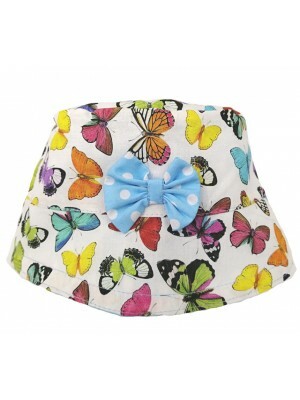 Fabric Content – 100% Cotton Garment Care – Cool machine wash ..
A pretty cotton sun hat featuring a bow on the butterfly side. Matches perfectly with our White Butterfly outfits. Fabric Content – 100% Cotton Garment Care - Cool machine wash ..